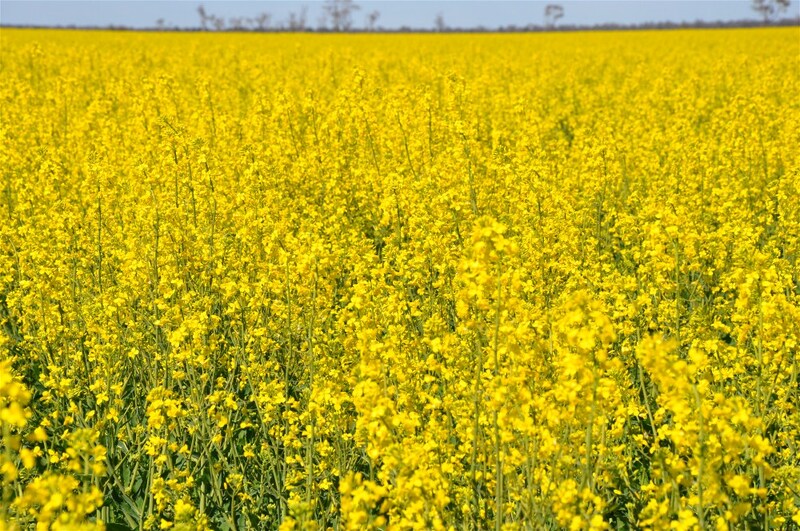 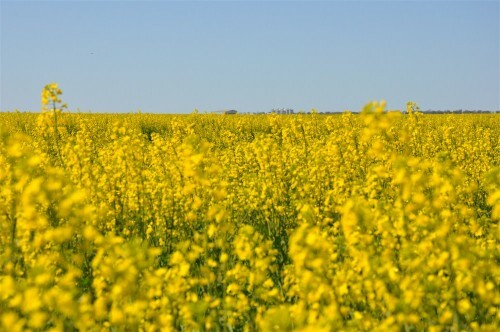 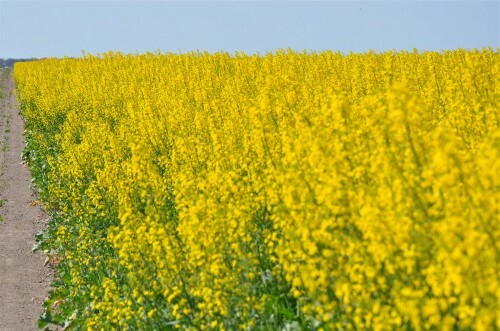 A bit hard on the eyes without sunglasses, the canola is flowering and looking fantastic. Picture below: David Ricardo inspecting canola. 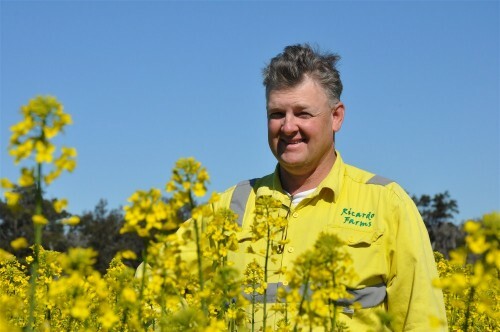 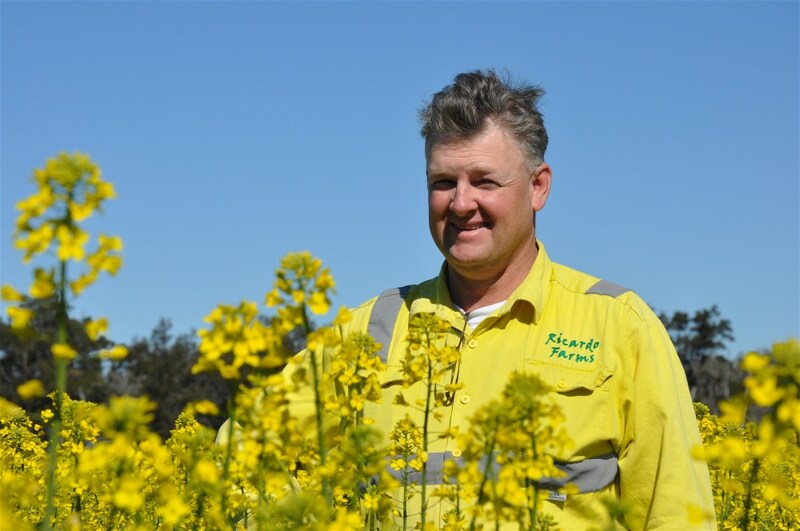 “I feel right at home here in my hi-vis shirt” The earlier crop is around 2 metres high and the later crop 1 metre and just starting to flower.